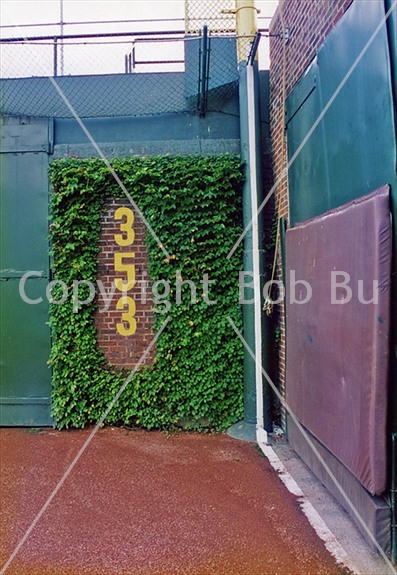 In the shadowy right-field corner of Wrigley Field, Jeff Baker tepidly reached out with his glove for a high flyball off the bat of Mark Teixeira. Since there is next-to-no foul territory in the outfield corners, the ball landed fair and Teixeira cruised into 2nd base. The atrociousness of the Cubs' 2011 season has provided me a sense of numbness. Since I can't really take this team's competitiveness seriously, I've reached the enlightenment of temporary apathy. Sure, there are some players to cheer for, and games within the game to root along, but my heart isn't out there to get crushed when the Cubs don't pull it off in the end. My sincerest hope is that they have at least ONE good trade of a veteran for prospect(s), and my heart is once again filled with hope next season. Feeling a sense of, 'oh well those are the 2011 Cubs', I was ready to let Teixeira's free double go, ready to give Jeff Baker a break. He's versatile and was just moved out to that position that inning, in fact. But, something happened on the way to nirvana. One batter after Teixeira's free double, allow me to rephrase: THE VERY NEXT BATTER, Alex Rodriguez lifts a towering flyball to left-center field. It appears, by the Cubs outfielders' body language that it will land in the first couple of rows of the bleachers. As the ball begins its descent, the body language of the fans appear to indicate the ball will land in the basket. To just about everyone's surprise, the ball lands on the field, at the base of the wall. The left fielder, Alfonso Soriano, should have had it. He's terrible with the glove. Reed Johnson, from Centerfield, lamely raised his hands after the ball landed as if to say the ball was buried in the ivy. He quickly gave up those efforts and threw the ball back in after it was clearly sitting at the base of the wall. Reed has actually had a great series, season, and even an albeit limited Cubs' career. 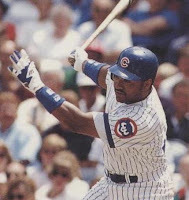 This is definitely the worst outfield defense I've seen since the Cubs trotted Kal Daniels out to left field in 1992. It could be the worst they've had in my lifetime. So, how about those Bears?